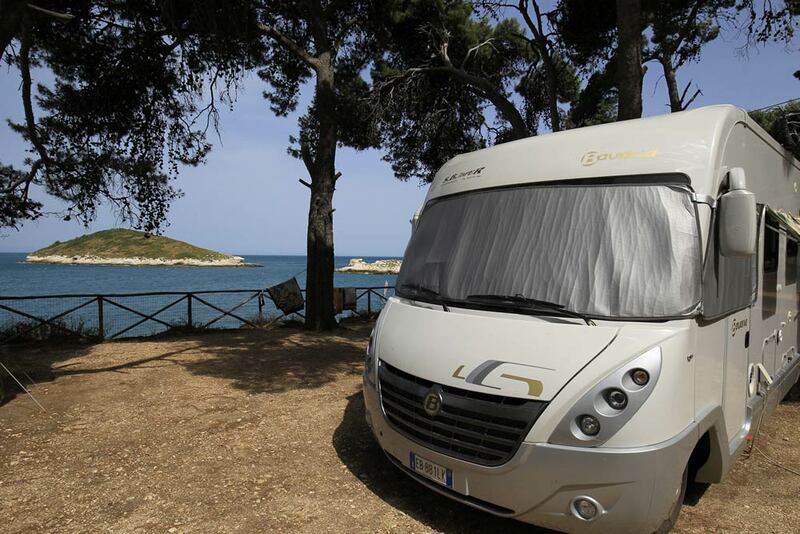 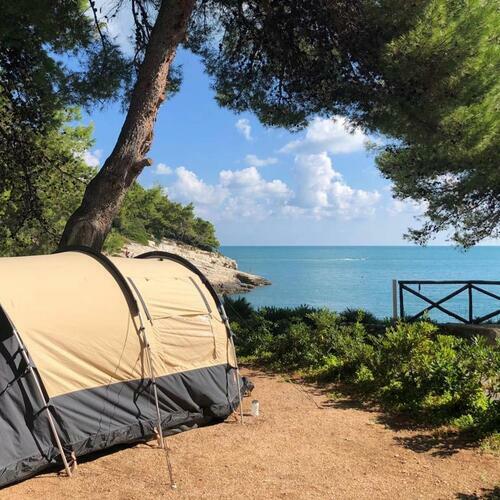 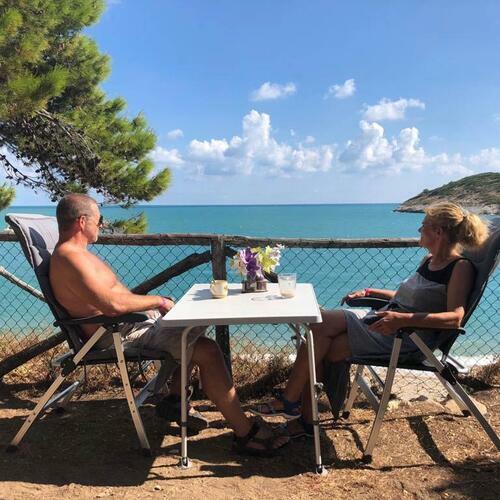 Our campsite is located near Vieste, directly by the crystal blue sea that bathes our marvelous promontory. 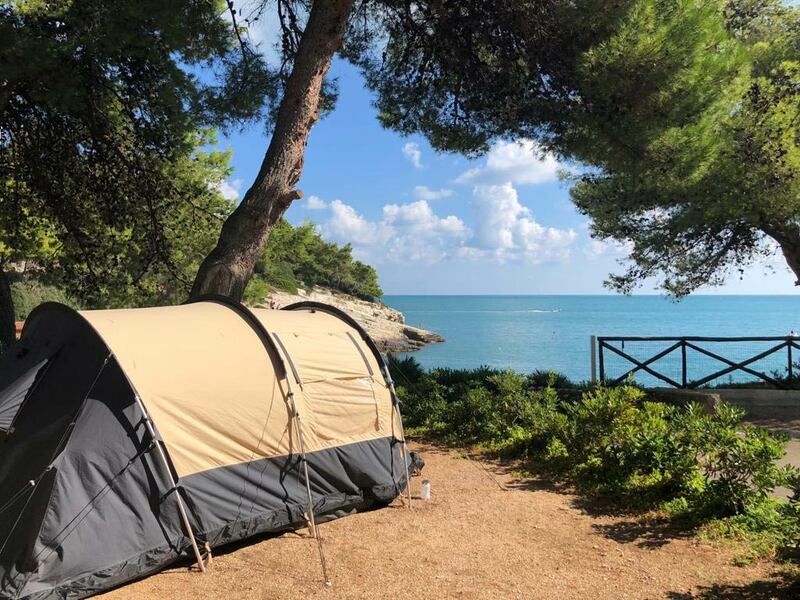 The bay where we are located is one of the most beautiful in Puglia and is only 10 km far from Vieste, the pristine pearl of Gargano. 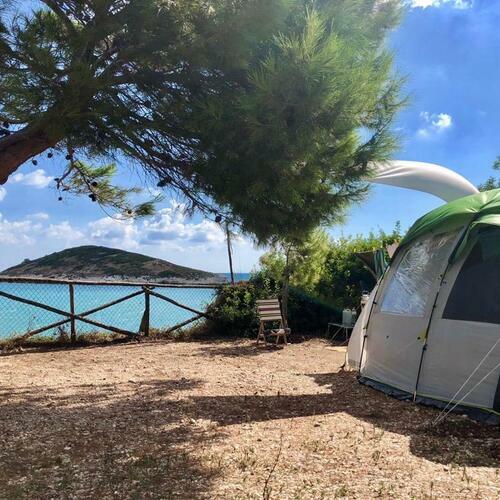 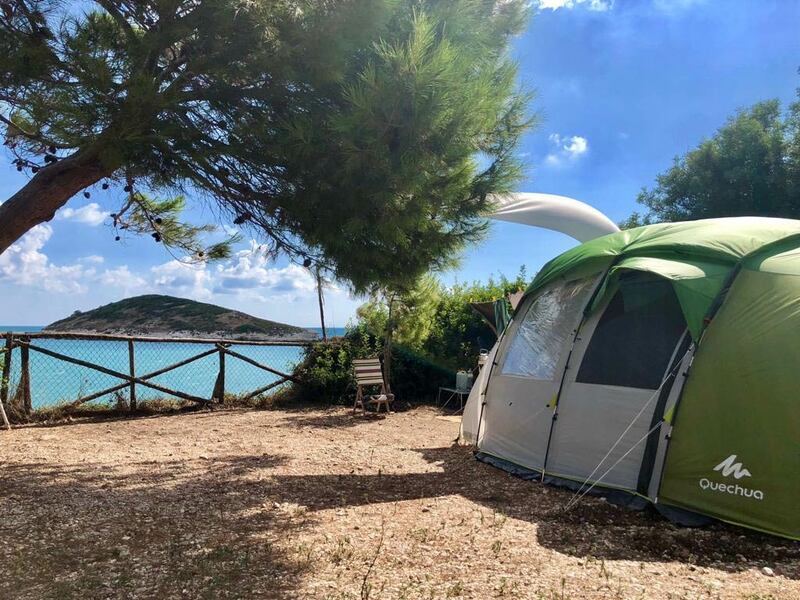 Baia e Cala Campi Camping Village covers a surface area of 100,000 square meters and is surrounded by pine trees and ancient olive trees that offer truly unique and priceless natural scenery. 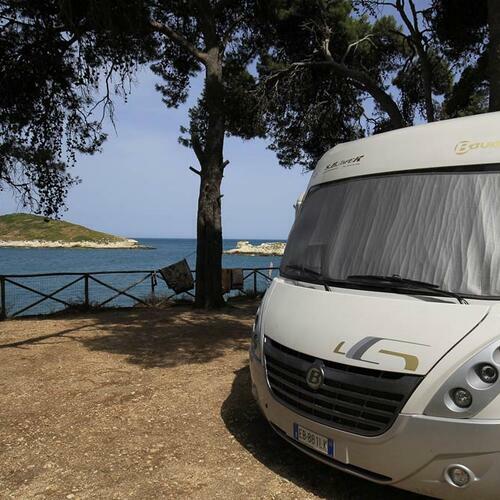 The shaded pitches are large enough for camper-vans, tents and caravans. 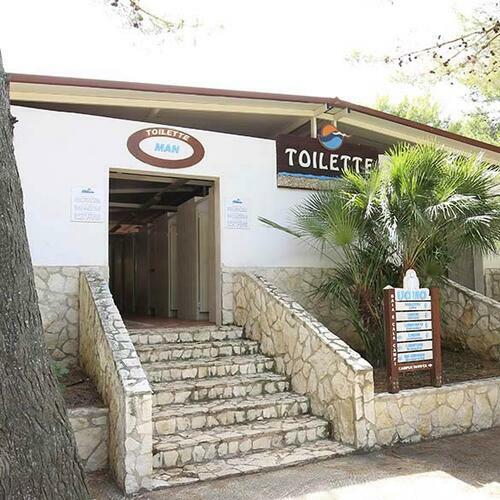 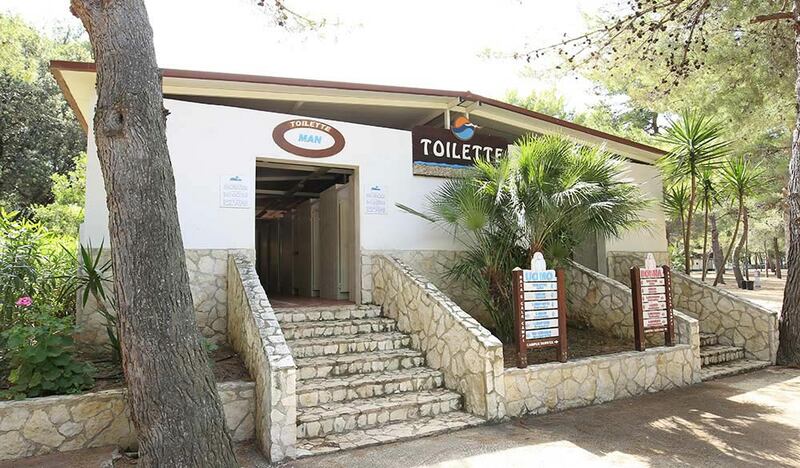 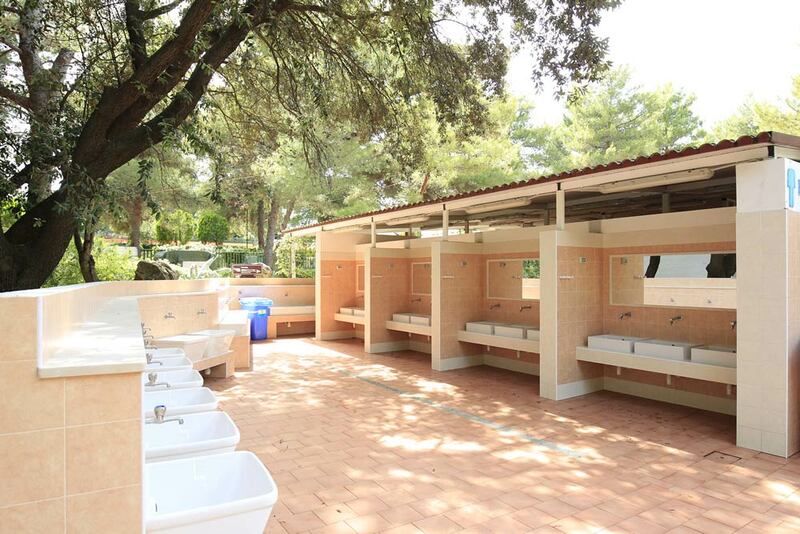 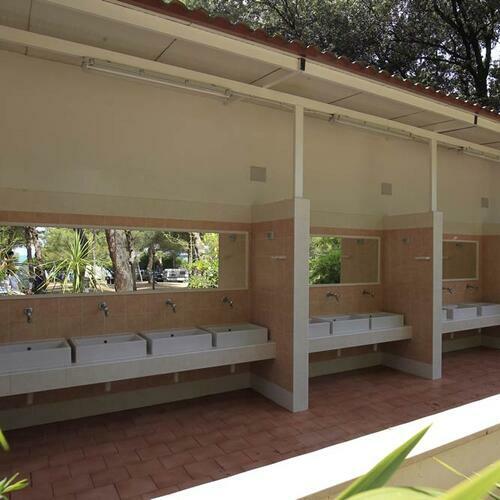 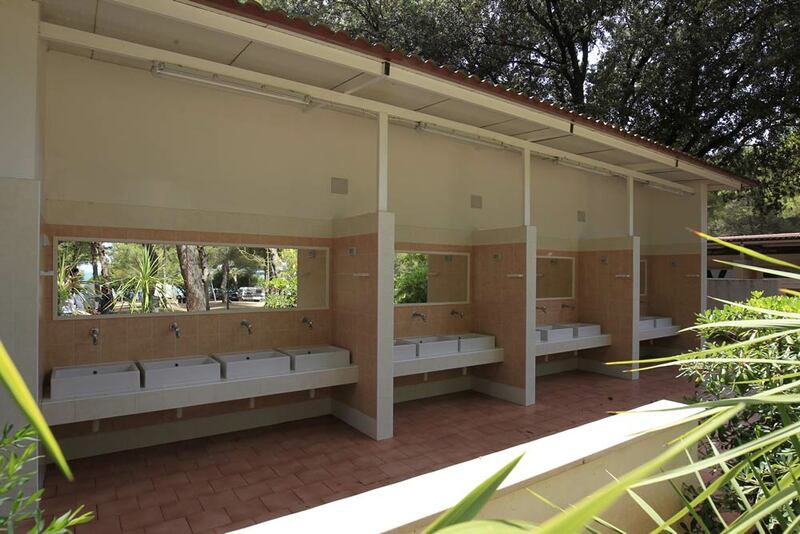 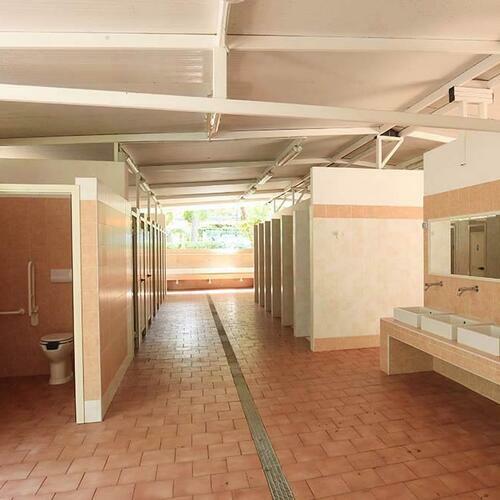 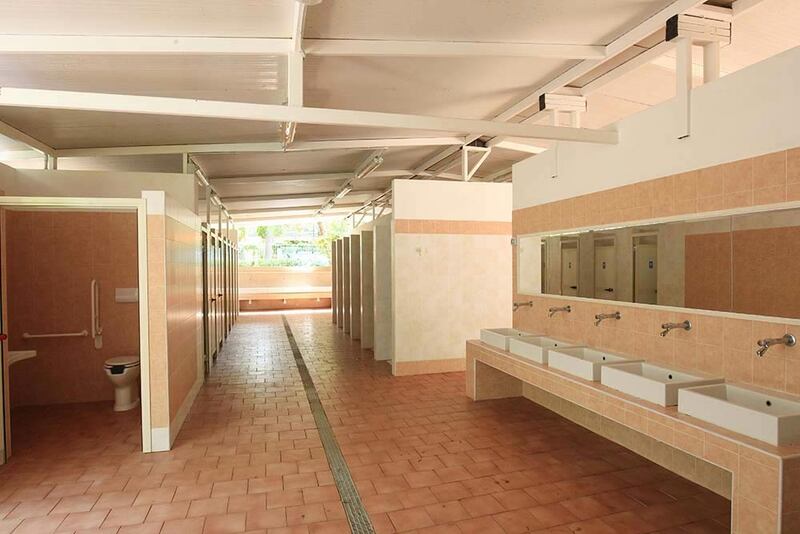 The campsite has toilet facilities with hot showers, washbasins for personal hygiene, sinks for cleaning dishes and much more.